Auburn-Opelika's #1 Real Estate Company is excited to offer Tiger fans age 5-12 the chance to win a once-in-a-lifetime game day experience on the Plains. 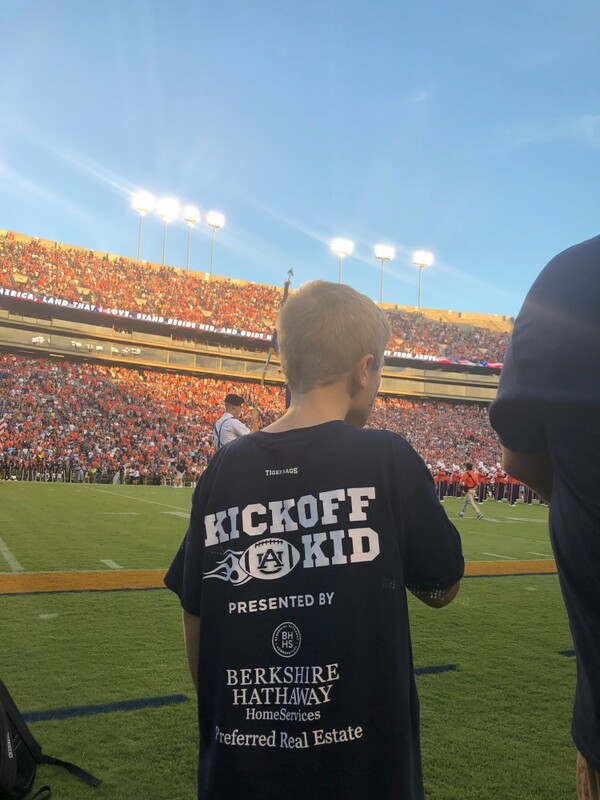 The Auburn Kickoff Kid contest was created as part of BHHS' exclusive Official Partnership with Auburn Athletics and will be part of the on-field excitement at every home football game this season! 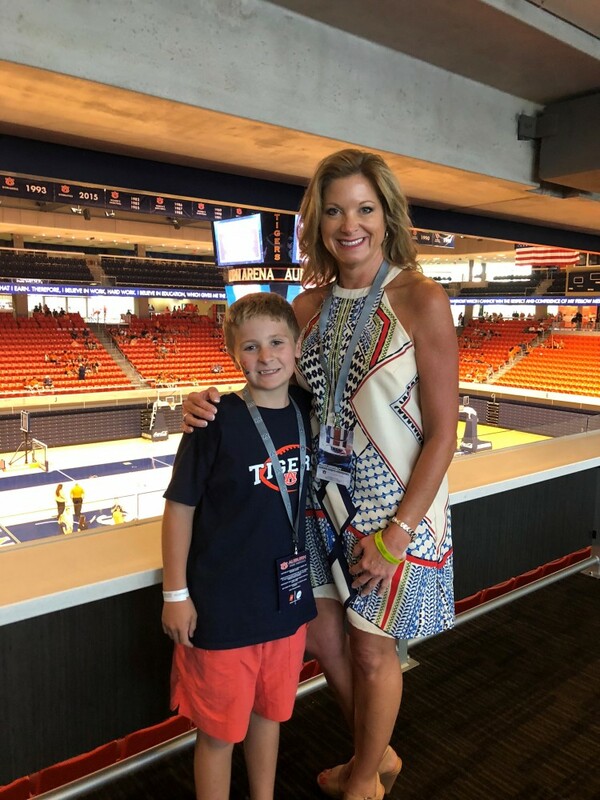 "We're proud to be named The Official Real Estate Partner of the Auburn Tigers and the Kickoff Kid contest is a great way to involve young fans in the excitement of game day," said BHHS Owner and CEO, Stacy Williams Jordan. 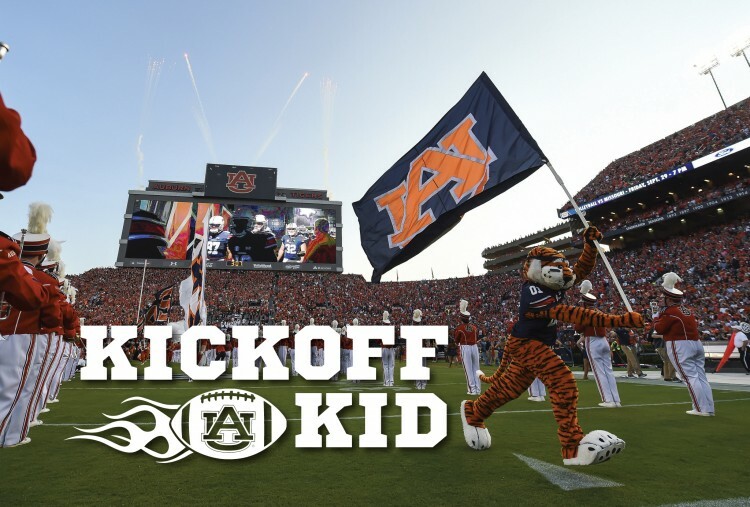 Parents can enter their child at AuburnKickoffKid.com and winners will be notified on a weekly basis in plenty of time to make plans for attending. Each winner will receive four game tickets, four pre-game VIP hospitality passes, pre-game sideline access for the Kickoff Kid and a guardian, recognition on the Jordan-Hare Stadium videoboard and an exclusive Auburn t-shirt. 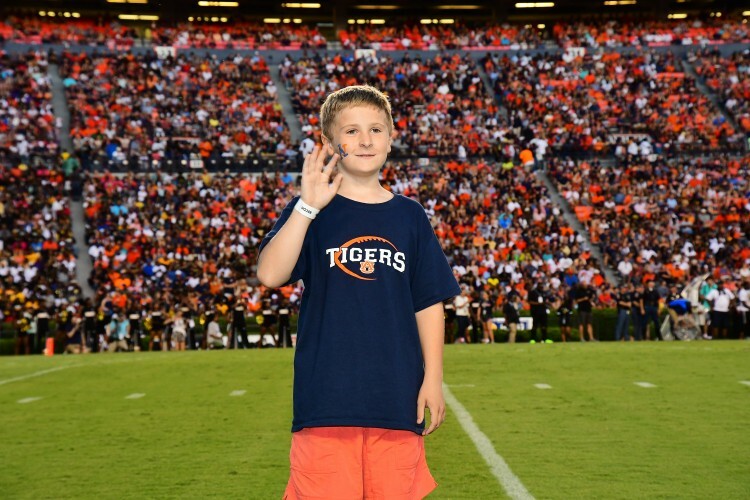 Our first Kickoff Kid of the season was Eli Calvert of Pelham, Alabama. To register your child for the Auburn Kickoff Kid Contest got to AuburnKickoffKid.com.